Eight large vertical panel screens were combined with a single 16:9 screen to help bring the Wild West to life. The initial concept was to use the custom screen layout to create an old western town for portions of the 2014 Merritt Group Convention. We also used the uniquely proportioned screen sizes to create wanted posters at various moments in the meeting. We scripted, shot and edited a multipart old fashion western video depicting Sonic heroes versus some villainous land grabbing competitors. Speech support and live IMAG video was also incorporated into the design. 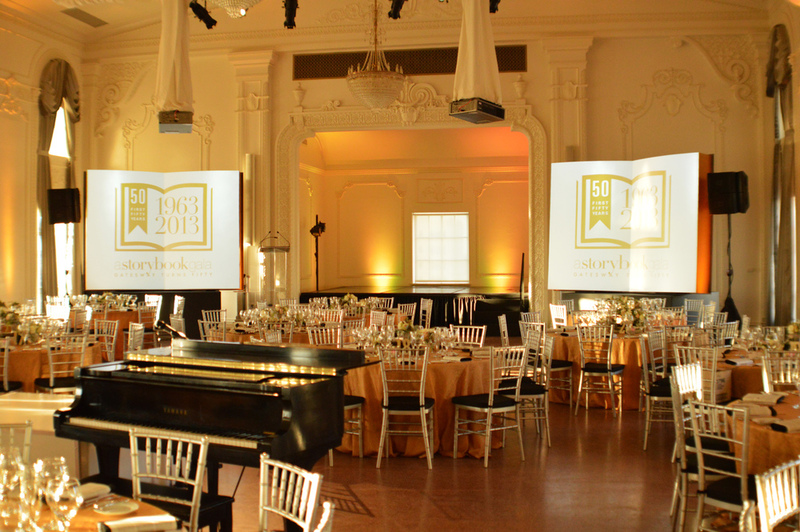 Three large scale 3-dimensional books were constructed and utilized as custom screens for the Gatesway Foundation's 50th Anniversary Gala. We used projection mapping for videos and animations that were created to make it appear as though the pages of the books turned. This annual Tulsa Ballet event was all about the British Invasion. The Ballet previewed excerpts from their 2014 performance of "Rooster" which features the music of The Rolling Stones. We used four large screens to display a rotation of Tulsa Ballet photos along the sides of the ballroom. One massive curved screen was used as a backdrop behind the stage in order to display custom graphics and video for live auction items and sponsorship information. Patrons were also treated to the sights and sounds of the London Underground as they entered the ballroom. We projected an animated subway scene with authentic voice overs instructing guests to "Mind the Gap." The theme for this years Carnivale event was "A 25th Anniversary Masquerade Ball". 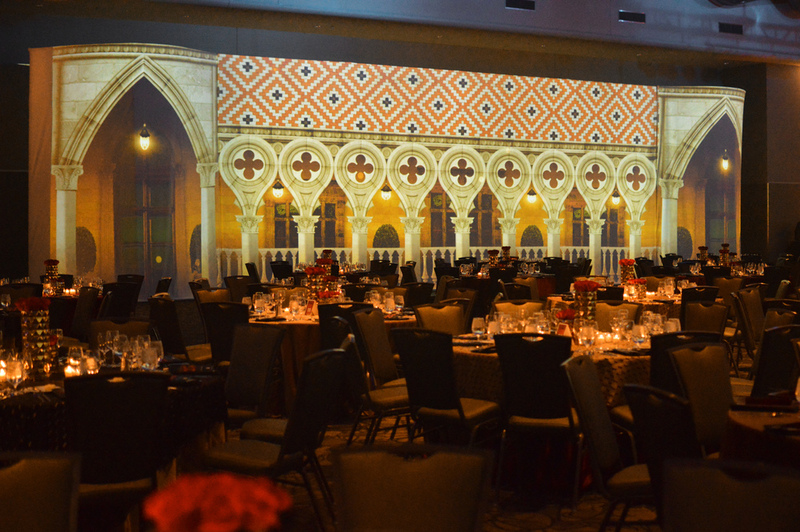 We used 12 projectors over three large screens to create a replica of Venice's St Mark's Square as attendees made their entrance into the ballrom. Midway through the night our screens transitioned to a twinkling night sky for a performance of dancers, kite flyers and a very limber aerialist. 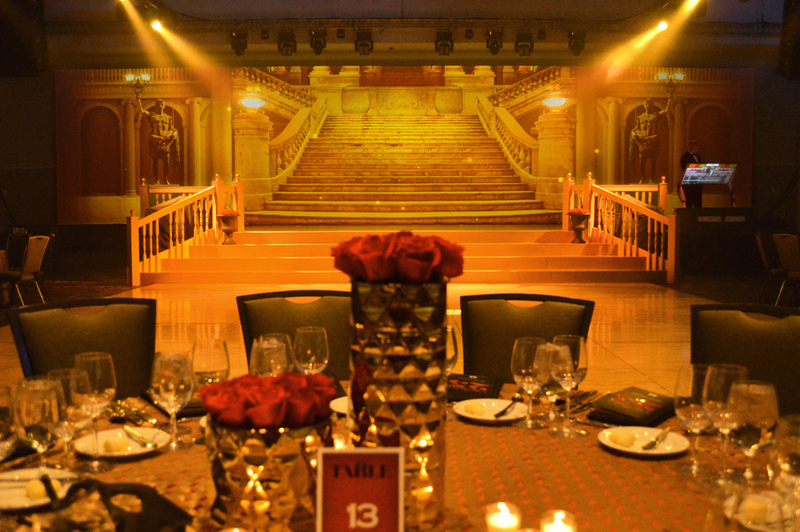 We also created vintage opera house and grand staircase backdrops that helped turn the biggest party of the year into the best masquerade ball Tulsa has ever seen. These annual events benefiting the Alzheimer's Association of Oklahoma are held in Tulsa and Oklahoma City. Last year's theme was "Across the Spectrum". A combination of multiple large screens and projection were used to display videos, auction items, sponsors and live IMAG video of speakers on stage. 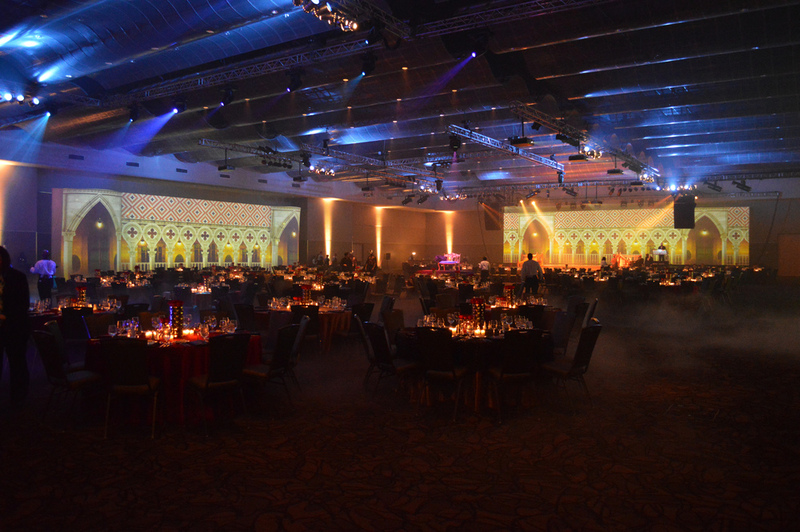 Four large multi-dimensional screens were constructed for the 40th Anniversary Merritt Group Convention. We used projection mapping to accentuate the physical depth and gave life to each box with custom graphics and animation. A massive set piece of the theme logo was built for staging backdrop. Live IMAG video and Powerpoint presentations were seamlessly integrated into the design.